I’ve finally uploaded some animation I did for Alien Isolation. So that’s a new website theme and some new content in one week! I’ve been going over the work I did on the project for a long time now, polishing certain bits, trying to cut it together and present it in a nice concise reel. It”s taken me a LOT longer than I anticipated and although that is still the plan, for the moment I thought I’d upload one of my favourite scenes that I animated for the game. The final idea, as ever in my experience, was a good combination of iteration and discussion with other team members. I planned out and tried lots of different ways of traversing out of that vent duct, before eventually deciding on the un-coiling effect. It seemed to have a much better pacing than just coming straight out, really making the player watch, before dropping quite rapidly. Once that was nailed we wanted to make the player feel under pressure, communicating a moment of hide and seek to help inform that this is how you should react to this creature’s presence. 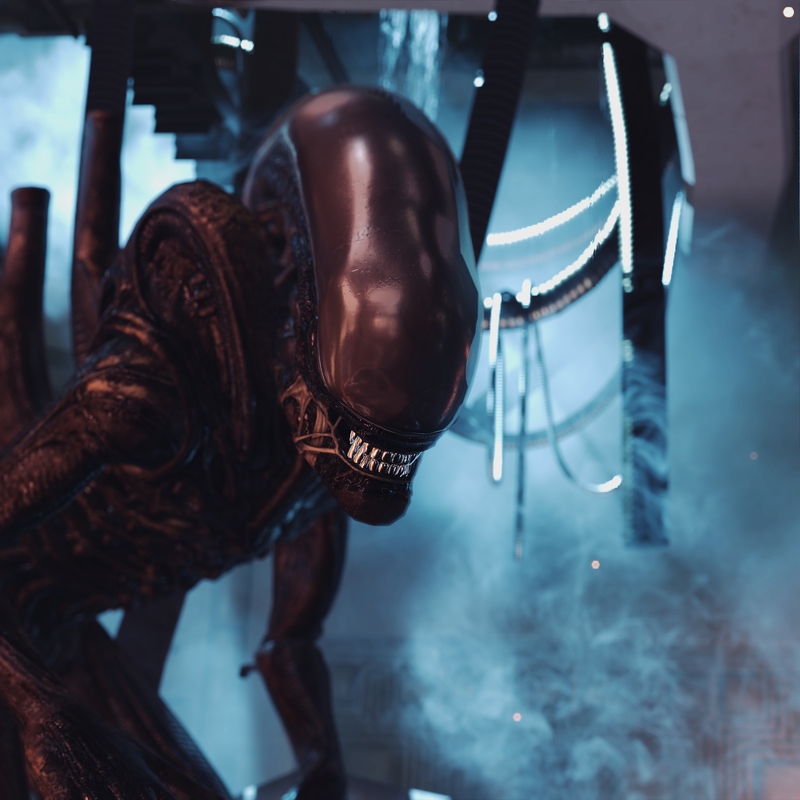 Simon Adams and Iain Wright, some great designers on our team, made a brilliant suggestion that the Alien should jump up onto the table as Ripley lay behind it hiding. I loved this and instantly knew a way to make that even creepier and at the same time hopefully pay homage to the unnerving atmosphere the Alien had in the original movie. So I decided as it jumped up and perched for a moment the tail would come over the table, right in front of Ripley , landing centimeters away from Ripley’s inner leg. It is almost too far fetched, but it seemed to have the desired effect of creeping everyone out so I left it! Overall I really enjoyed developing this scene. Thanks again to all at CA that contributed along the way in making it. If you’ve watched it I hope you ‘enjoy’ it too. More stuff to come soon.